After training in London with various in-house design teams Morag moved to Kent where she studied fine art part time at Kent college with Jim Gunnel. Then, after moving back up to Scotland, she carried on working freelance later returning to College studying Design Illustration and Fine Art. 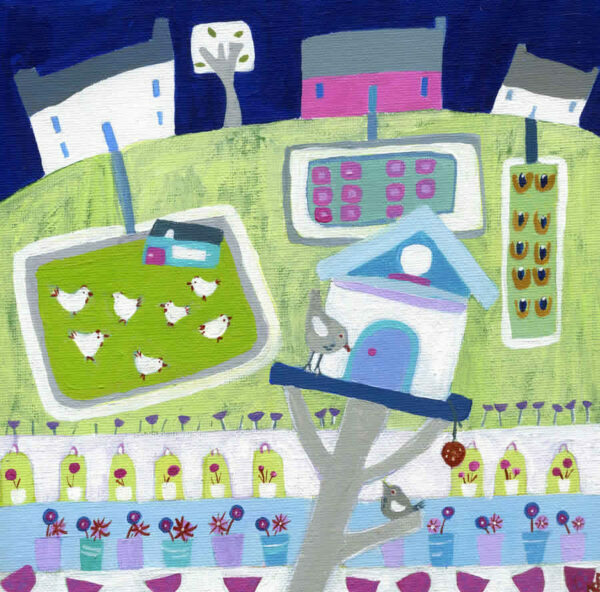 Since graduating Morag has had her work accepted to the R.S.W and R.S.A annual exhibitions, she has shown her work with galleries around the UK and has exhibited at Surtex New York, AAF London and New York as well as Brand licensing London. Morag’s mother was a potter and Morag has inherited many of her mothers pots, mugs, cups and plates, for a short while Morag herself worked in ceramics but now prefers to paint the finished subjects which are now appearing in many of her paintings.